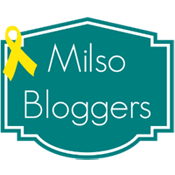 Recently, I read about a book that sounded intriguing. It didn't turn out to be exactly what I had hoped, but the concept is still fascinating. 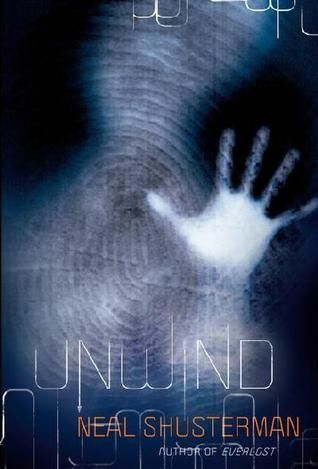 Unwind by Neal Shusterman really made me think, but overall, it didn't captivate me enough to read the sequels. The Second Civil War was fought over reproductive rights. The chilling resolution: Life is inviolable from the moment of conception until age thirteen. Between the ages of thirteen and eighteen, however, parents can have their child "unwound," whereby all of the child's organs are transplanted into different donors, so life doesn't technically end. Connor is too difficult for his parents to control. Risa, a ward of the state, is not enough to be kept alive. And Lev is a tithe, a child conceived and raised to be unwound. Together, they may have a chance to escape and to survive. Overall, the plot sounds incredibly cool, but the writing style just did not captivate me like I thought it would. The story was still fun because it presents such an alternate reality to what we have. I'm glad I read this book, but I am not choosing to read the sequels that follow it. If you're looking for something different, though, Unwind by Neal Shusterman may be the way to go. I don't know what I was expecting, but I definitely wasn't expecting that story line when I read the book. It's so heartbreaking to think of a society that throws away the lower class and no one wants to take responsibility for anything. I started reading the second book but I got distracted and had to return it. I think I'll eventually get around to picking it up again. Exactly. I love dystopian novels, though; this one just wasn't written the way I thought it would be! I may give the second one a try in a while... I hate abandoning books in a series, but this one just didn't hold my interest.